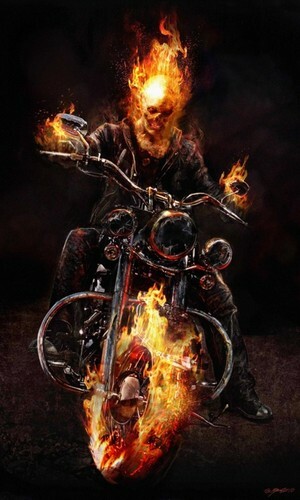 ghost rider. . Wallpaper and background images in the Ghost Rider club tagged: ghost rider picture awesome spirit vengance johnny. This Ghost Rider photo contains feu, flammes, enfer, and inferno. There might also be feu.